With its intelligent drone infrastructure perched atop commercial and industrial end users’ solutions, Nightingale Security yields more expansive protection and faster response. 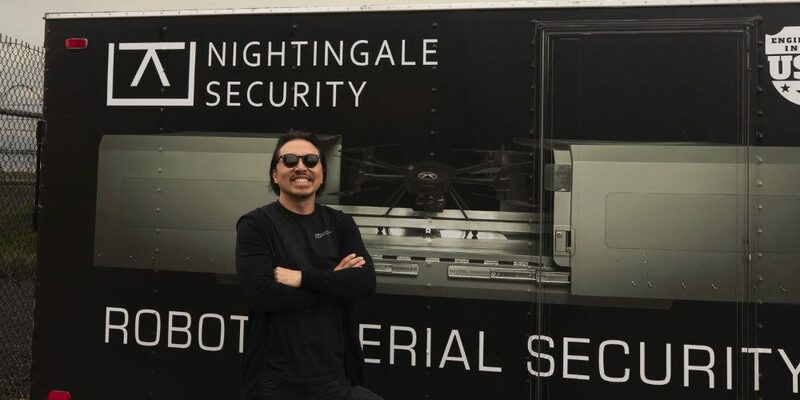 Nightingale Security is based in Mountain View, Calif.
As a pioneering American company offering a complete commercial security drone solution, Nightingale Security’s business is taking off. This robotic aerial security (RAS) service company offers end users a fully autonomous infrastructure system comprising base stations, drones and intelligent software, deployed at a customer’s location to be mission-ready 24/7. As the saying goes, the future is now. Drones are beginning to catch the attention of some forward-thinking decision makers in the security space. With good reason, as evidenced by the perimeter surveillance and protection proposition RAS provides. Customers of Mountain View, Calif.-based Nightingale can see, patrol and protect their facilities using autonomous robotic technology that is literally taking coverage and communications to new heights. Co-founded in June 2014 by CEO Jack Wu, along with John Hsu, Nightingale’s launch was inspired by Wu’s deep interest in military tactics and history, in particular, and respect for the military, in general. “I read military history and DoD white papers that led me to understand the importance of ISR [intelligence, surveillance and reconnaissance] and situational awareness. Today a lot of that is being done by drones, so I thought situational awareness could be very useful to large commercial and industrial sites,” says Wu, who brought a successful background in technology, gaming and advertising start-ups to the endeavor. So how exactly does Nightingale’s RAS solution (not to be confused with RaaS, which we’ll get to) perform security missions the company claims are cheaper, faster and better than current solutions? 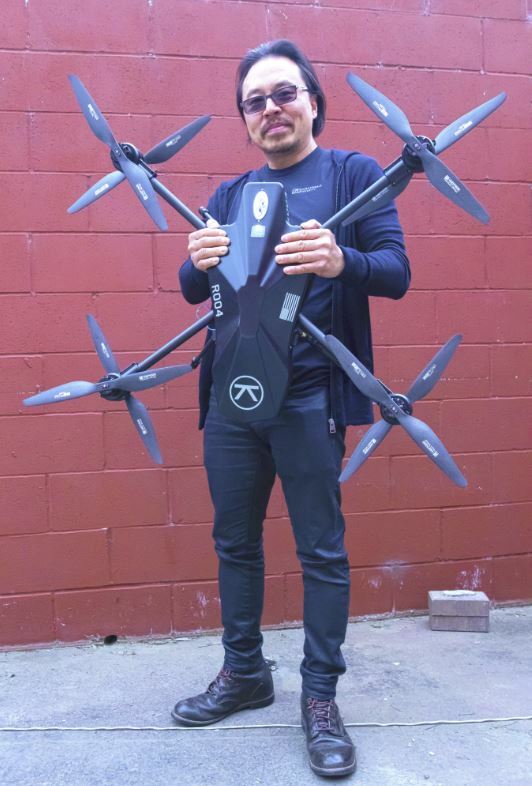 Let’s go behind the scenes of this drone business to see what the buzz is all about. Jack Wu co-founded Nightingale Security in 2014, inspired by a passion for military history and strategies. 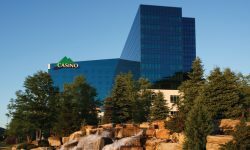 Simply put, Nightingale provides commercial customers with automated perimeter patrols to help ensure critical locations or areas currently unable to be seen are under traditional surveillance. These scheduled autonomous patrol missions are based on day, time, path, altitude, hover duration, camera direction and other mission details. Here’s a brief lowdown on how these high-flying eyes in the sky operate. Nightingale’s RAS solution can be integrated with a client’s VMS, PSIM and legacy systems to augment its effectiveness. 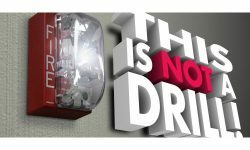 When an alarm is triggered, the system automatically dispatches a drone to the alarm location and streams live video to the security team. Nightingale’s drones are equipped with a FLIR thermal camera that allows them to see at night in zero light conditions. The brains behind the operation is Nightingale’s Mission Control, its patented software that was co-developed by specialists of SpaceX (whose early engineering team included Hsu, an aeronautics and astronautics Ph.D), NASA and robotics research company Willow Garage. Nightingale’s end-to-end system provides autonomous remote operations (ARO), which the company explains eliminates the need for human intervention while maintaining all-hours readiness. The capability of multiple drones to operate as a squadron is enabled by relay-to-drone-to-drone (R2D2D) communication, while intelligent drone coordination assignment tasks facilitate drone squadron cooperation. Accessible on both PCs and mobile devices, Mission Control commands all drones at multiple facilities; recognizes objects and follows them; manually controls drones, cameras and sensors; and avoids static obstacles. Dubbed C4AI by Nightingale for its command, control, communications, computing and artificial intelligence capabilities, the Mission Control app acts as a hub that displays live video and alerts from drones, while edge computing and onboard AI handle the work. On Jan. 9, 2017, Nightingale Security was the first robotic aerial security company granted an exemption from the FAA for single pilot or visual observer with multiple unmanned aerial vehicle (UAV) operation. 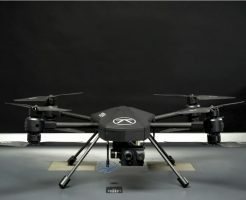 This is a valuable benefit for the company’s clients as they can take full advantage of this exemption and deploy a multidrone operation, notes Jack Wu, Nightingale CEO and co-founder. Envision this, SyFy Channel fans (Wu’s favorite show an appropriately futuristic thriller, “The Expanse”) — these drones and base stations actually communicate and collaborate. Better than some humans, for that matter, and they’ve got each other’s backs. If, for instance, a drone is deployed and runs low on battery power, another drone will autonomously deploy and finish the mission, so the first drone can return safely to the base station and recharge. And, like the city that never sleeps, these robotic drones are always awake; they never switch off so they’re always ready for deployment whenever needed. Nightingale counts verticals such as oil and gas, critical infrastructure, corporate facilities, power plants, solar farms, manufacturing facilities, datacenters, mining and search-and-rescue missions as end-user applications among what it deems expanding market opportunities for deployment. The drones and base stations are typically installed on roofs and other secure locations around a client’s facility. As Wu points out, many of their large industrial or commercial facility customers have very big perimeters and areas to cover. Many come complete with hills and trees or other obstructions that are inaccessible to security staff. Nightingale offers “Robot as a Service” (RaaS), so customers don’t have to buy, own or maintain anything. Nightingale Security provides an RaaS subscription based on a monthly fee or annual contract. 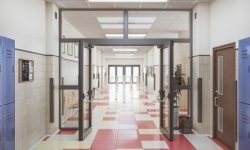 Depending on a client’s facility requirements, Nightingale Security will install, integrate and maintain all hardware and software. The company provides comprehensive maintenance, repair and upgrade (MRU) support, which includes everything needed to keep their system operating smoothly and continuously. Nightingale keeps clients up to date with all the latest features and system upgrades and is open to partnering with others to develop additional applications. Mac Wrixon, Nightingale’s director of operations, emphasizes that among the customer benefits to this bleeding-edge security proposition is the reduced worry about paying for a system that will need replacing as new technologies come into the market. Wu echoes that, noting the company is bringing to the table a different industry perspective. It’s also about ensuring customers can fully optimize their security investment. “RaaS is a model that the entire robotic industry is moving toward,” says Wu. “Clients don’t want the headache of maintaining it them themselves. And, on top of that, technology is perishable, so they don’t want to purchase something with their budget and get left with something that’s outdated in a couple of years. 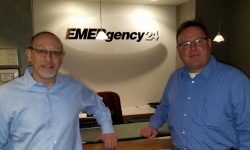 It’s up to us to create a solution that can solve a variety of clients’ security problems. Nightingale provides maintenance, repair and upgrade support on hardware and software for clients as part of its “Robot as a Service” offering, which CEO Jack Wu says is the business model the robotics industry is embracing. Drones are still an emerging technology in the physical security world. You couldn’t fault some customers for thinking of the devices as more of a toy than a viable, even enterprise-grade security solution. Since this remains new territory for many, how does Nightingale proactively educate prospects and get the word out on its products and services? But sales are not the only incentive for Nightingale Security, whose brass sees buy-in rationale extending beyond individual organizations’ security. Just some of the technology partners that Nightingale Security works with are: FLIR, Milestone, NVIDIA, Pulsiam, Genetec, Vidsys, SureView Systems, Future Fibre Technologies (FFT), VMware, Globetouch and Thermal Radar. Regarding its own technology, Nightingale Security takes pride in naming its drone the Blackbird Block 1, as an homage to the SR-71 Blackbird of the U.S. Air Force. Photo Gallery: Get an up close look at Nightingale Security’s HQ and RAS offering. It also speaks to the nature of Nightingale’s early adopter customer base, and how the company sees its role in today’s security landscape. By providing an autonomous system of base stations, drones and intelligent software, Nightingale Security is doing just that — round-the-clock readiness is at its customers’ fingertips and systems are always on duty. These eyes in the skies are certainly worth watching.